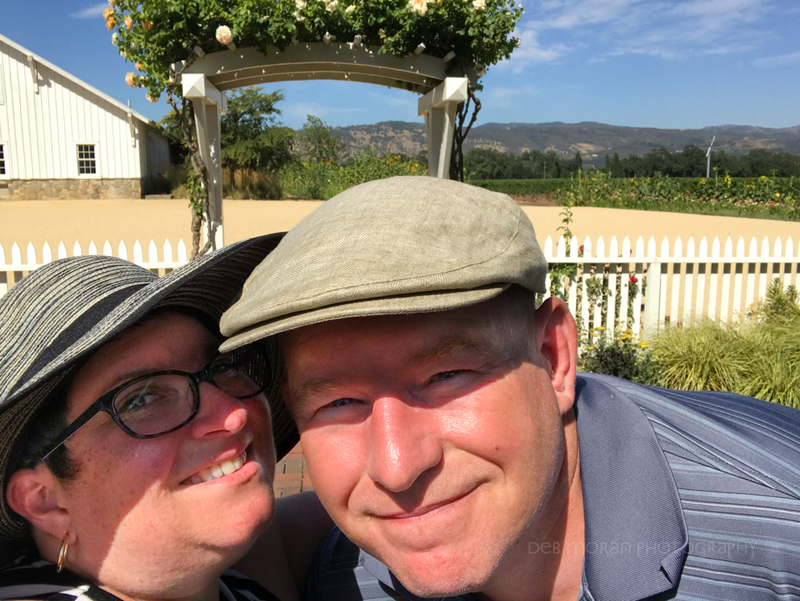 A few years back, Hubs and I had planned to spend our 10th anniversary in California wine country, but we got a little sidetracked with me being busy having cancer (as The Girl would say). So, we went for our 11th. And it was fabulous. 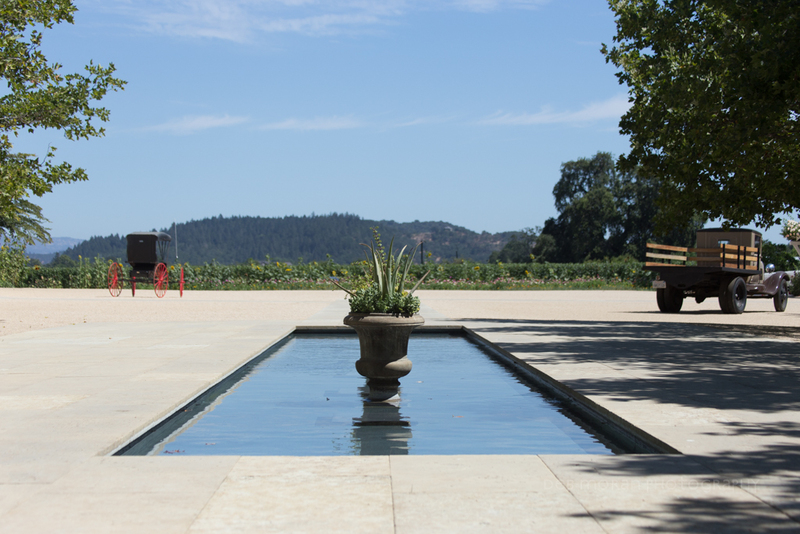 This year is our lucky 13, so we decided to make another trek out to Napa and the surrounding area. Our adventure began at the beautiful asscrack of dawn, at 4am, when we woke up, showered, and headed out to witness the lovely midwestern sunrise on our way to the airport. It was beautiful, though really, I wouldn’t have minded missing it for extra ZZZs like every other morning. But, we had an early flight (departing ORD at 7am!) that would allow us to make the most of our first day in CA. Though it’s not my favorite, we flew United because that’s the card we have with miles accumulated. They have this fancy schmancy app that lets you watch free movies and tv shows on “participating” flights. As it happened, ours was a participant, though not a very good one. I couldn’t get the shows to load for anything. Neither could the passengers around us. We’d been told that there was problem with the WiFi on board, but that the app-based entertainment shouldn’t be impacted. Shocker that they got that wrong. Funnily enough, as I was still trying to get the movies to load, texts began coming through. Well, iMessages. It seems I had just enough accidental WiFi power to let those through. So, I texted with The Girl, my brother, and my CrossFit friend, Steph (who is probably squealing right now at the shout out). After all of that finger chatting and a few rounds of Candy Crush, I fell into a bit of a nap. Not quality sleep, but enough to make up for waking up at 4 in the effing morning. Of course, I know I was tired, but I think the cabin pressure hit me especially hard this flight. I felt a little like I couldn’t breathe well, was a bit light headed, and my Apple watch told me I had an unusually high heart rate for one in a state of rest. But, when I woke from my nap my HR was in the 80s and I felt surprisingly refreshed. Before I knew it, we’d arrived in the land of coffee and wine. Seriously on the coffee – there was a Starbucks or Peet’s around every corner in the airport. I’m not sure why would I ever leave this strange and wonderful place. But, in the interest of having time for lunch before our first tasting appointment, I held off on the java until we’d gotten our rental car. Once we hit the 101, I checked my phone for nearby local coffee joints. 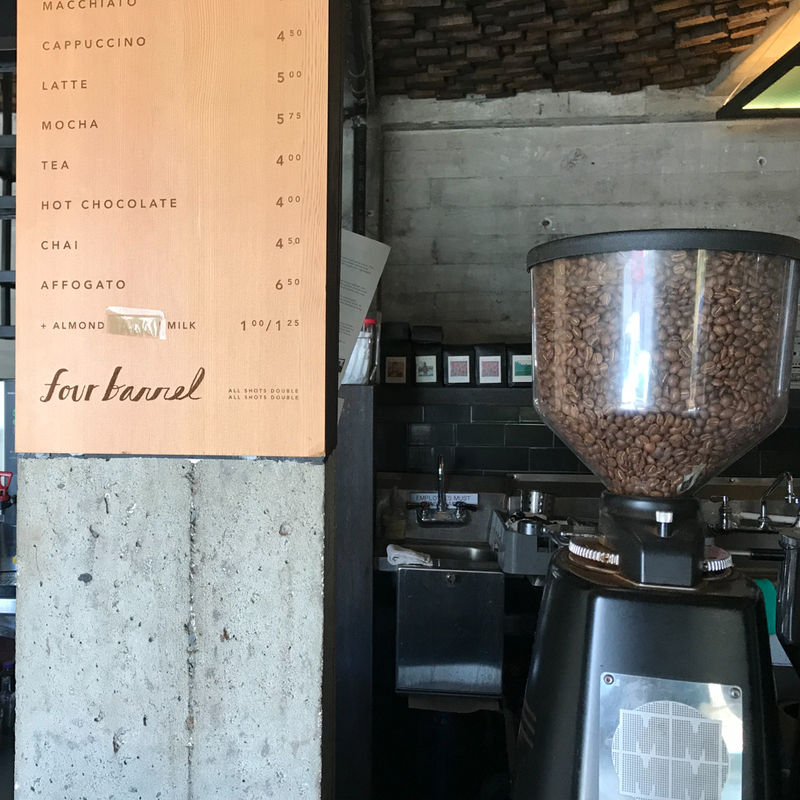 We found one called Four Barrel Coffee, which was an open-air hole-in-the-wall with a barista who looked a lot like Samira Wiley. 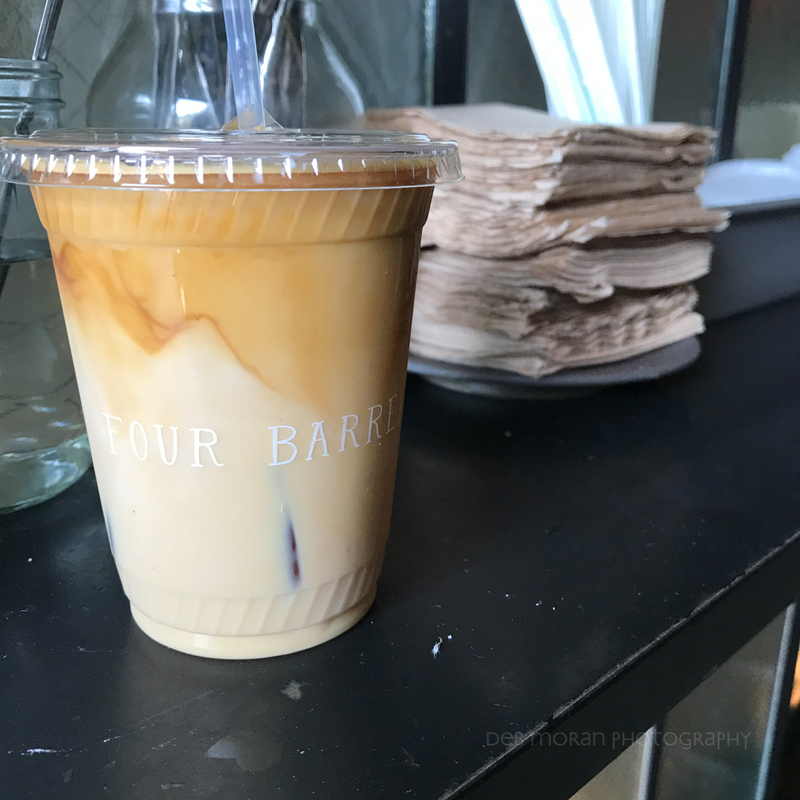 I ordered an iced latte. It seriously put Sbux to shame. It was so yummy! My only complaint was that it was so small – like a “tall” from Sbux. I could have had 6 of them! The place was so adorable and rustic. I wasn’t sure what to expect, but I certainly wasn’t disappointed! I took a chance in sweetening this with a random amount of random syrup. I think it was simple syrup. Somehow, I added just enough. On our way through San Francisco on the way to the coffee, we came to this intersection. 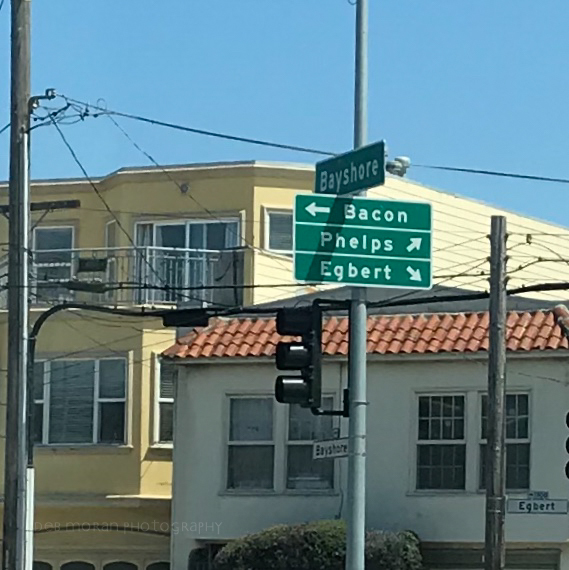 Wouldn’t you LOVE to live at the corner of Bacon and Egbert?! 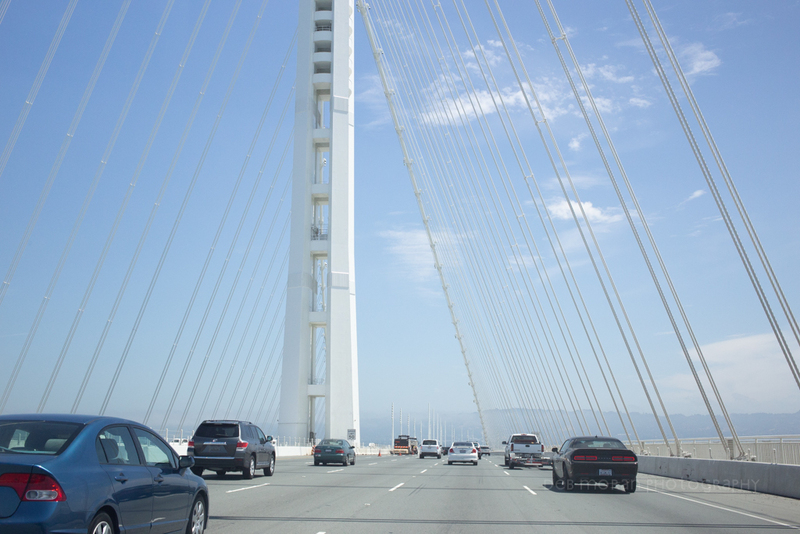 What drive through and out of San Francisco would be complete without a trip over one of the five Bay Area bridges? 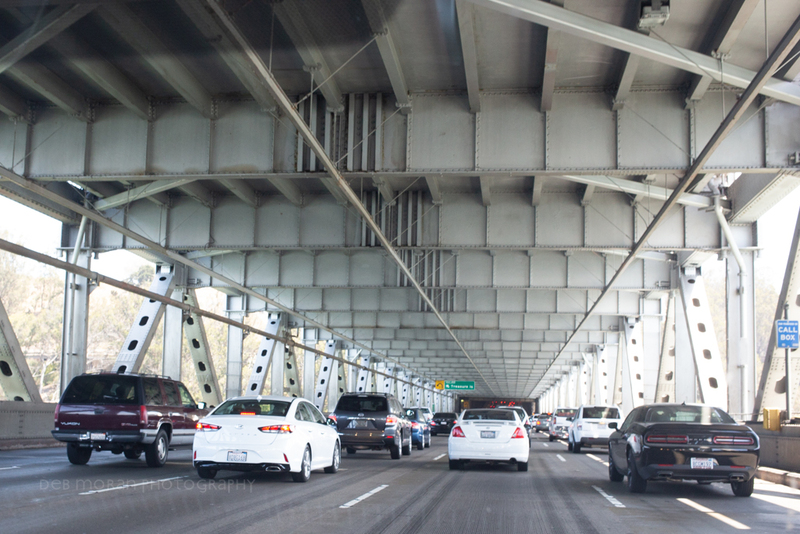 Cruising along the lower level of the Oakland Bay Bridge. 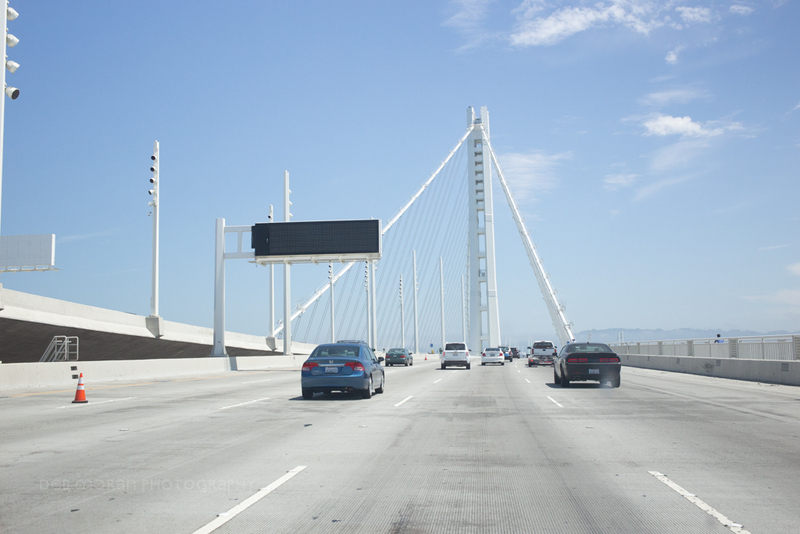 Driving along the Oakland Bay Bridge. It’s all so clean! Suspension bridges are so cool. As I nursed my latte, we made our way to Yountville, an adorable little, town located on the main drag (CA29) of Napa valley vineyards. 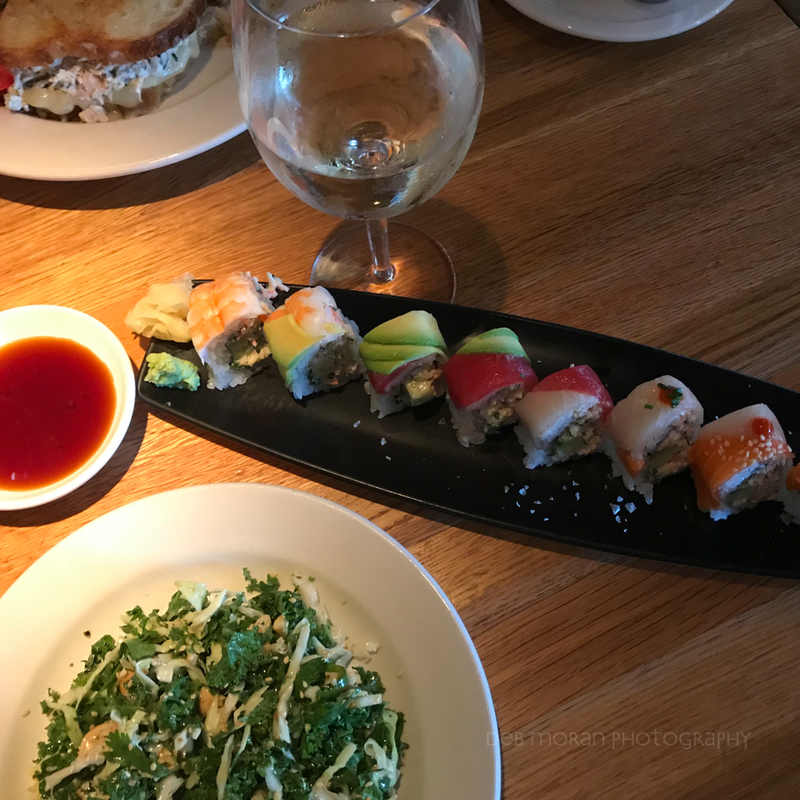 In Yountville, there’s a fantastic restaurant called R+D Kitchen. We had lunch here on our first trip at the recommendation of friends (thanks, Lamby & Jean! ), and made it our lunch stop today. For two years, I’d been craving their kale cashew salad, and it did not disappoint. Neither did my rainbow roll or the tuna melt sammich Hubs ordered. Of course, we had to have wine with our lunch. When in Rome, right? Hubs enjoyed a pinot noir (the label escapes us both by now), and I tried a couple of CA Sauvignon Blancs, settling on a Joseph George, which is produced right there in Yountville. Can’t get much more local than that! Hubs tuna melt, top left; plus my sauv blanc, rainbow roll and kale cashew salad below. Bellies full, we headed out to our first tasting of the trip at Nickel & Nickel – just five minutes up the road in Napa. We had hoped to visit here on our last trip, but last minute bookings are hard to come by. This time, I planned ahead and scheduled us for a 2:30 group tour and tasting. 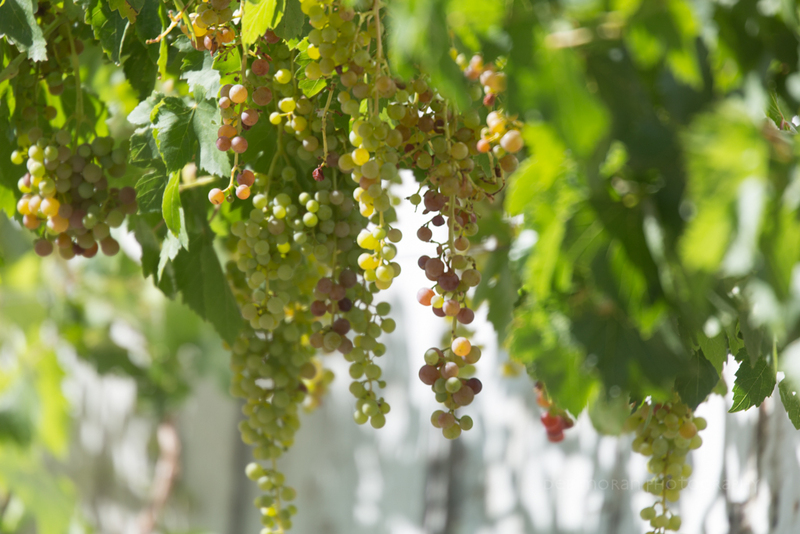 While we saw lots of vines on our way from San Francisco into wine country, this cluster at Nickel & Nickel was the first actual fruit I saw when we got out of the car. 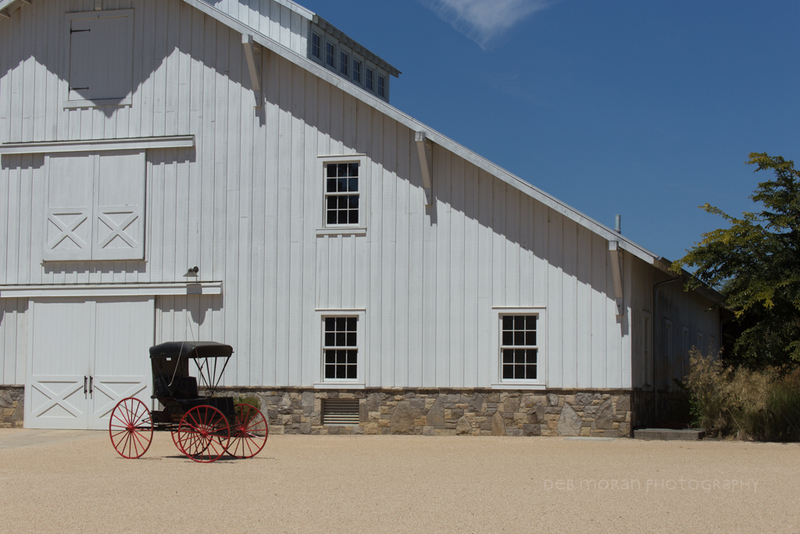 Upon arrival at the winery, we entered the old Victorian house on the winery’s restored 19th century farmstead, and gathered in the parlor with the others in our group. Our guide was named Ian, a passionate wine guy, originally from Texas. He greeted everyone with a smile and a glass of chardonnay to get the party started. From there, he took us on a walking tour of the winery. 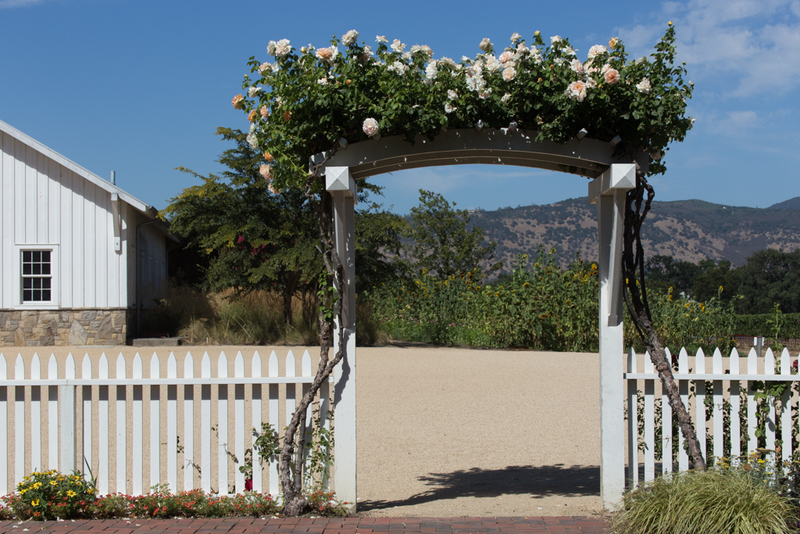 This archway is the entrance to the winery from the main house. Just beyond the archway is the barn where the grapes are pressed. Where the grapes become wine. No dirty feet in here! The Red Barn that is situated above the caves. 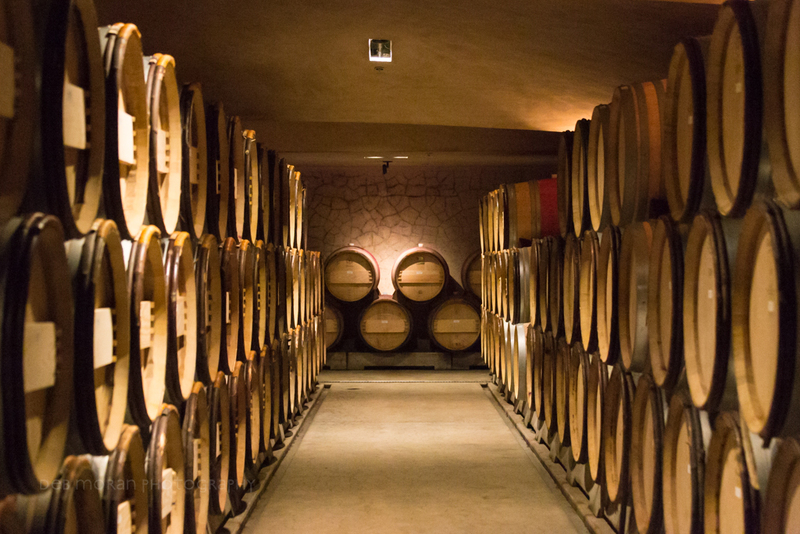 Nickel & Nickel barrel caves, where the wine ages until bottling. This was the view when we exited the Red Barn. Breathtaking! After the tour, Ian led us to the dining room, where we got down to business of tasting four of their single vineyard Cabernet Sauvignons (they have 15!). The tasting menu at Nickel & Nickel was personalized with the names of all of us in the group. Ian talked a lot – and I’m glad he did. I had a nerdy wino aha moment in realizing some food pairing guidelines. You’ll have much better taste results when you pair a dryer Cabernet Sauvignon with a high-fat proteins (like steak). If the wine is more acidic and makes your salivary glands work overtime, you want to pair with cheese, specifically semi-hard cow or sheep’s milk cheese, or even aged goat’s milk cheese. But, my favorite lesson was this one. I’m sure you’ve heard people talk about wine having great legs, right? Well, as Ian tasted along with us (not all guides taste with the visitors), he explained that legs are the drips that form on the glass when you swirl the wine. And here’s the fun fact: a “leggier” wine is going to be higher in alcohol. Nevermind what the label says, because quite often, the ABV percentage on the label is made up. Ian swears that some wines will end up testing quite a bit higher than what’s on the label, but no one actually measures this when bottling wine. Instead, they just estimate based on grape, aging, and other aspects of the process of making the wine. As we tasted and talked, a couple of other wines came up in the discussion. Unbeknownst to us, when he ducked out of the room a couple of times, it was to do a quick chill of a couple of off-menu bottles for us to try. (Contrary to popular belief, red wine should not be consumed at room temp, but somewhere around 62-68 degrees.) I loved how he personalized the tasting to what we’d discussed. One was the Bella Union (sister winery) Cab blend from Napa (the Nickel & Nickel wines are all single-vineyard wines). Very smart move, because we ended up buying a couple of bottles of the other “bonus taste” – the En Route Pinot Noir. After our tasting and purchase, we had to take the requisite selfie in front of the archway. 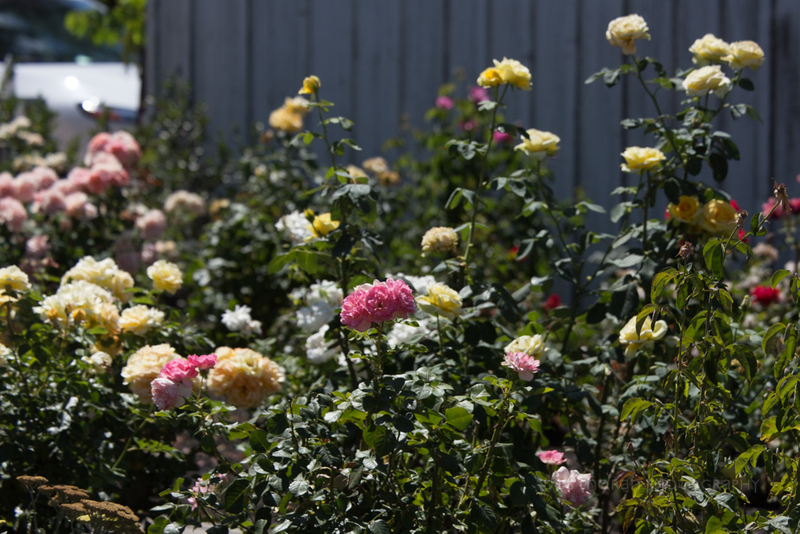 We paused to view the gorgeous rose garden alongside the main house at Nickel & Nickel. 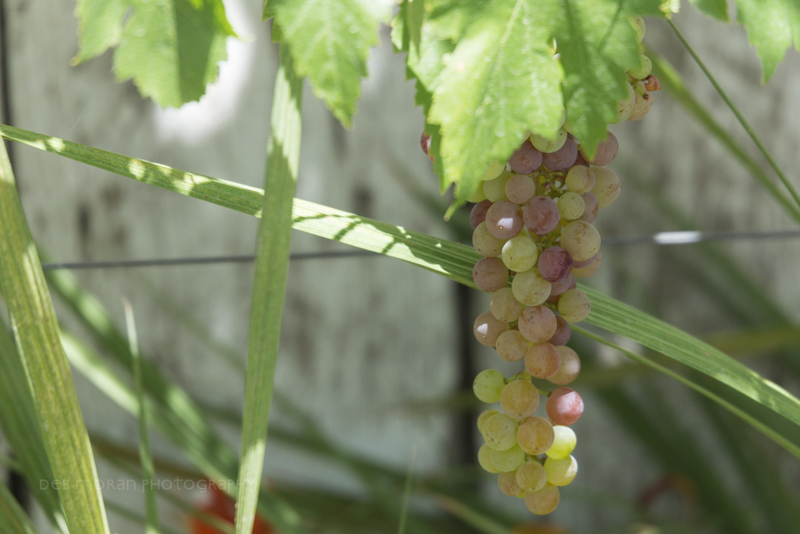 More grapes captured on our way out of Nickel & Nickel. Seeing as we’d been up since 4 a.m., we were pretty much done for by the time we finished at Nickel & Nickel. So, we made a quick stop at Safeway in Sonoma for sustenance supplies on our way to our VRBO, Lazy Oak Cottage. We stayed at (and enjoyed) another property owned by the same couple the last time we were in the area, and this property was just as lovely. Why VRBO, you might ask? Well, Hubs likes to grill, and frankly, we didn’t want to have to eat out for every meal. We’d rather spend the money on wine. Blessed be the fruit, and all that. We settled right in, and Hubs grilled steak and shrooms, which we ate on the patio. I’m sure we would have lingered out there for a while, but we ran into a glitch in that we couldn’t figure out how to turn on the backyard lights.